Recently, a donor who wishes to remain anonymous established two endowed scholarships to support training opportunities and educational programs to help Airmen, the children of Airmen and their families through the Air Force Aid Society (AFAS). This donor’s career led her to work with Airmen in the U.S. Air Force (USAF). Because of this, she became a good friend and a trusted colleague of a USAF officer, and she has been a long-time friend of another general, both of whom are the named honorees of the scholarship funds. The two officers have been inspirational figures to the donor, and they set the example of how to serve selflessly with humility. It is out of her deep respect and admiration for the two officers that she set up the scholarships. 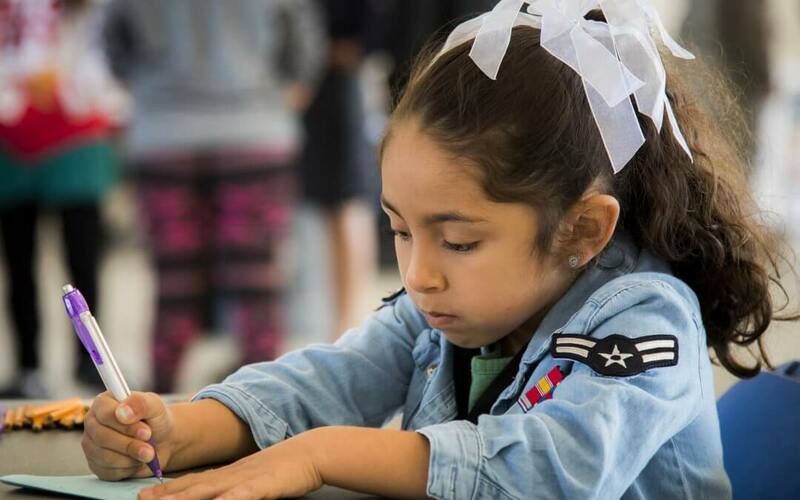 The Society’s mission to provide educational support to Airmen and their families aligns with the donor’s professional background and personal philosophy and values, making AFAS a natural fit for her philanthropy. She hopes that the scholarships will allow current, retired and future Airmen and their families to pursue educational goals that will benefit themselves as well as the USAF. The endowment will have an intergenerational impact on the Society’s ability to continue its Airmen Helping Airmen mission. It also creates a lasting legacy for two men who joined the USAF with a common goal of serving their country. Their service will be an inspiration to future generations of scholars, while also acting as a reminder that selfless service and sacrifices are appreciated and remembered for life. Hoping others will follow in the footsteps of these officers, of serving selflessly and humbly for a cause that is greater than one individual, the donor proudly supports AFAS so that she may express her appreciation to her long-time friends. The Society is honored to be the recipient of such a generous gift, especially to honor two of its own. The Air Force Aid Society is the official charity of the U.S. Air Force and has been meeting the unique needs of Airmen and their families since 1942. AFAS works to support and enhance the USAF mission by providing emergency financial assistance, educational support, and community programs. Over the last decade, AFAS has provided nearly $180 million in direct support via approximately 500,000 assists. Visit afas.org to learn more, apply for assistance or make a donation.